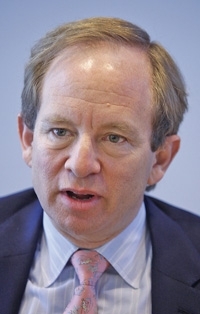 Steven Rattner: U.S. likely to recover around $40 billion of its $50 billion investment in GM. DETROIT (AP) -- Former U.S. auto task force head Steven Rattner said today that General Motors Co. and Chrysler Group LLC have performed better than he expected they would a year ago. Rattner said both companies have exceeded the federal government's metrics in sales and restructuring. He made his remarks before speaking Monday to a conference on the auto industry at the Detroit branch of the Federal Reserve. Both GM and Chrysler received billions in federal aid and went through bankruptcy protection last year. Rattner said during his speech that based on public statements by GM executives, GM has a good possibility of making a quarterly profit when it announces first-quarter earnings later this month. He said that based on the trading price of old GM's bonds last week, the government is likely to recover around $40 billion of its $50 billion investment in GM. Old GM includes the closed plants and other assets left behind when the company went through bankruptcy protection. Old GM bondholders have some recovery rights when new GM sells stock to the public, perhaps later this year. The government owns 61 percent of GM and will get some of its money back when the stock is sold. GM repaid $6.7 billion of the government loans last month.